The installation of a state of the art resuscitation unit was part of a redevelopment of the Geelong Hospital’s Emergency Department. A donation of $300,000 from the Victoria Police Blue Ribbon Foundation enabled the purchase of modern equipment to fit out two complete resuscitation bays and was a joint project between the Blue Ribbon Foundation and the local community through the Geelong Branch. The unit was dedicated as a Police Memorial in memory of Sergeant Russell Thompson who was killed in the line of duty in 1987. 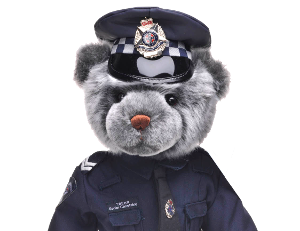 On Thursday 9th September, 1987 Sergeant Thompson of Corio police was on patrol duties along the Midland Highway, North Geelong, when he intercepted a vehicle to conduct a routine license check. As he was speaking to the motorist he was struck and killed by a passing vehicle travelling at high speed. The offending driver failed to stop at the accident scene but was later located and charged with a number of offences.